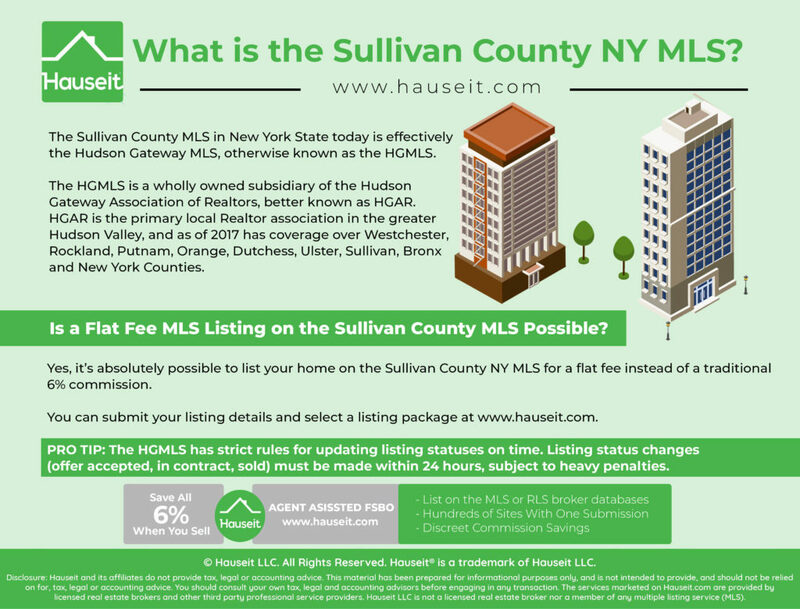 What is the Sullivan County MLS? Listing your home For Sale By Owner in Sullivan County NY is difficult enough, so it will be important to understand which Multiple Listing Service is relevant for your home before you purchase a Sullivan County NY flat fee MLS listing! Update: We’ve just received word that all SCMLS (Sullivan County MLS) Paragon Listings will be incorporated into the HGMLS as of June 19th, 2018! All existing SCMLS listings in Paragon will be imported into the HGMLS Matrix system. After this date, agents will no longer be able to make edits or submit new listings into the Paragon system and must use the HGMLS instead. The Sullivan County MLS in New York State today is effectively the Hudson Gateway MLS, otherwise known as the HGMLS. The HGMLS is a wholly owned subsidiary of the Hudson Gateway Association of Realtors, better known as HGAR. HGAR is the primary local Realtor association in the greater Hudson Valley, and as of 2017 has coverage over Westchester, Rockland, Putnam, Orange, Dutchess, Ulster, Sullivan, Bronx and New York Counties. The core jurisdiction of the HGMLS includes Westchester, Rockland, Orange and Putnam counties. Every listing by a HGMLS participant located in these four counties must be entered into the HGMLS. While Sullivan County listings are not strictly required to be entered into the HGMLS, most listings these days often are due to the growing influence of HGAR in the greater Hudson Valley. Is a flat fee MLS listing on the Sullivan County MLS possible? Yes, it’s absolutely possible to list your home on the Sullivan County NY MLS for a flat fee instead of a traditional 6% commission. The Sullivan County MLS makes it easy to do so by only requiring listing brokers to enter what they are offering buyers’ brokers in commission. Unlike some other broker databases, the HGMLS does not require a listing broker to reveal to other agents what they are earning in commission or what the total commission is! When you combine this ability to not reveal that you’re only paying a few hundred dollars in listing broker commission along with our brand name, traditional real estate brokerage partners who never openly discount, you truly get the real thing! Not only will other Realtors not know that you aren’t paying full commission, they won’t even suspect it as the listing broker partners we pair you with are traditional, full-service firms who don’t normally discount! Your flat fee listing will be mixed in with their full commission listings, and your savings will be our little secret! 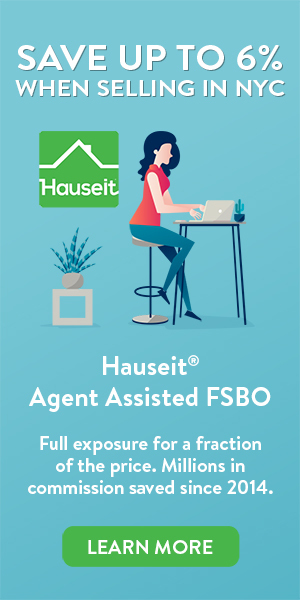 Note: Our Agent Assisted FSBO listing service is very different from traditional flat fee MLS listing services whose business models are based on volume. In your run of the mill flat fee MLS listing, the listing broker is typically a mom and pop operation with one or two licensees whose sole aim is to earn as many flat fees as possible. As a result, they don’t care about their personal branding at all nor its effect on your home sale. It’s typically very obvious, often directly from their marketing, what they are doing. As a result, other Realtors automatically know that these aren’t real listings and will often boycott the listings either out of resentment or actual uncertainty as to whether they’ll be able to get paid. It’s easy to list your home on the HGMLS for a flat fee. You can do so on our website in under 10 minutes, though you’ll need information about your home such as annual taxes handy. Check out our next steps for listing your home For Sale By Owner in Sullivan County NY to learn more about the process. It’s important to understand that you’ll need to e-sign a flat fee exclusive listing agreement before our partner brokers can upload your listing to the HGMLS. It is not possible to list a property on the HGMLS without a listing agreement, and doing so will incur an automatic fine. It’s important to understand that the HGMLS has strict rules for updating listing statuses on time. Listing status changes (offer accepted, in contract, sold) must be made within 24 hours, subject to heavy penalties. It’s also important to double check that you have ownership rights to the photographs you submit to our partner brokers for use. There are automatic fines levied for copyright infringement which will be passed onto you. So please help us avoid any unnecessary fines by confirming that you are the sole owner of the photographs you submit for upload!